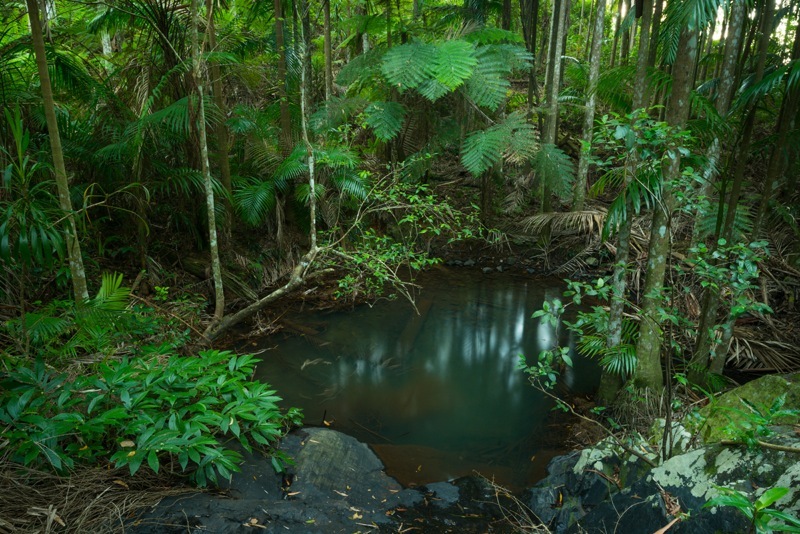 Natural spring waters make their way down a rocky creek surrounded by rainforest, with some gentle rock faces that the children love climbing on. You can go exploring up and down the creek or jump in the water hole to cool off on a hot summer day. You could also keep following the stream to go exploring in the Bellthorpe National Park.